Reviews of second edition I would recommend this book, because it explains things so clearly and simply. There is no section I have read that I don't understand upon reading. The same topics I have struggled with when studying from other books would now be easier to understand having read material that helps me grasp the concepts as more of a whole. 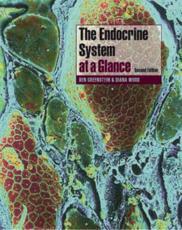 3rd year Nottingham This is the best endocrinology textbook that I've seen. 4th year Southampton REVIEWS OF 1E: "...This is an excellent text for medical or science students taking courses in endocrinology" Aslib Book Guide "...This is a good new endocrinology book that is of interest to medical students and is certainly worth a look" Guy's Gazette "...The book would be a good basic orientation for the clinical student, and would, I think, find a useful place amongst the literature of undergraduate biochemists and lift scientists" Oxford Medical School G.